I want to thank all my Italian (and French ) friends for the lovely weekend I had at the Lago Dell’Olmo in Italy. 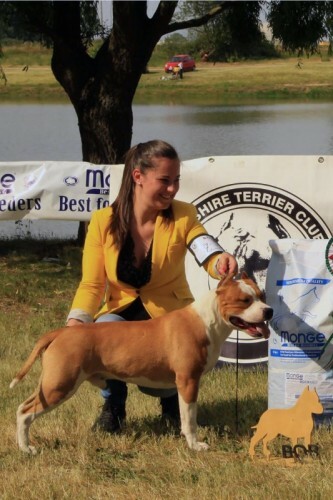 It was a real honor and pleasure to judge the AST Specialty of the Staffordshire Terrier Club Italia. The weather was beautiful, the location breathtaking, nice people who were all good sports, excellent handling, beautiful dogs, good food and ice-cold beer. I couldn’t wish for more. I specially want to thank my two ring-college’s Antonella and Jessica. I couldn’t do it without both of you. Great job and multitasking! Thanks both of you. Thanks again and I hope to meet you al soon.